Design Society: 720 meters from east to west, approximately 430 meters from north to south, with a total construction area of 335,000 sqm. 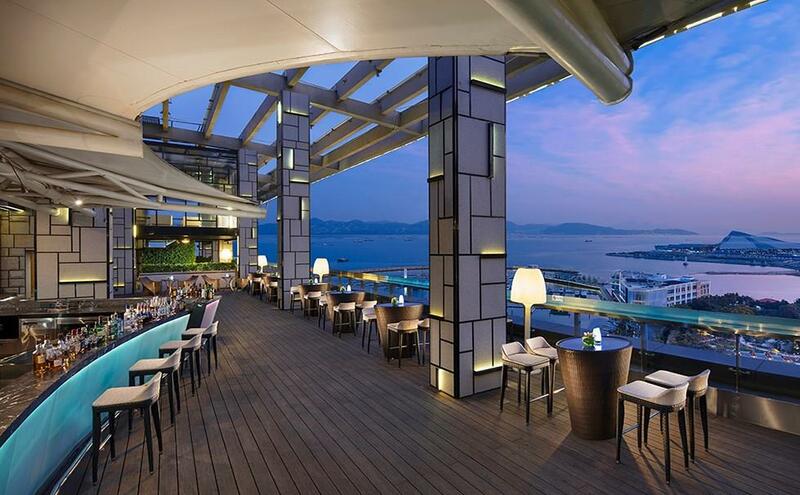 Vision Hall: The only full sea view hall in Shenzhen with an area of 800 sqm. 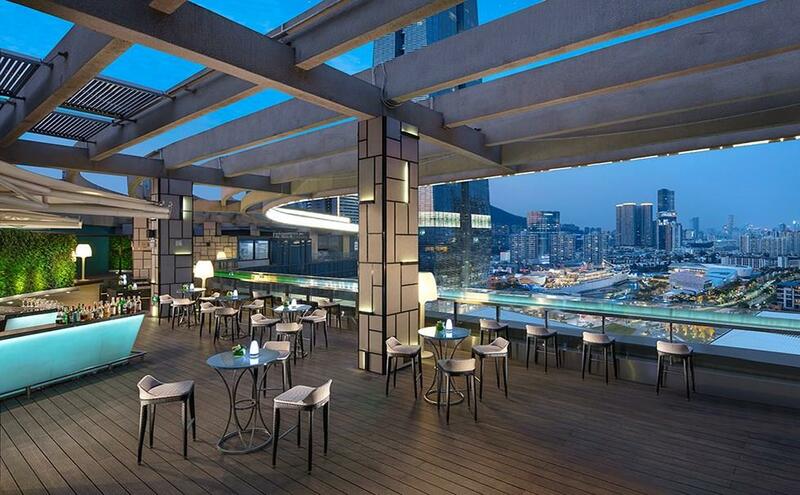 Through the floor-to-ceiling windows, you can enjoy the beautiful views of Shenzhen Bay and Hong Kong. Mountain View Theater: It can accommodate 328 people and has an area of 1,650 sqm. It is the crowning touch to the entire building. The entrance hall on the third floor of the theater can have a panoramic view of Nanshan Mountain. The entrance hall on the fourth floor is connected to the roof garden. The theater can be used to hold lectures and performances. Shenzhen Bay Bridge is also called Hong Kong-Shenzhen Western Corridor. It connects Shenzhen and Hongkong across Shenzhen Bay. 10 minutes drive from hotel Shenzhen Shekou Cruise Center is a core component of the Shekou International Cruise Homeport. Its planned area is over 40,000 sqm. 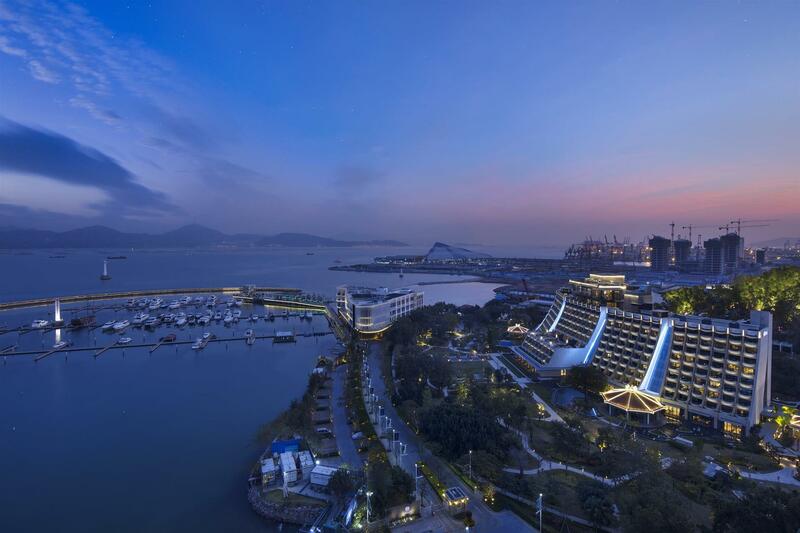 The only modern international cruise homeport in Shenzhen that combines “sea, land, and air” which will also become the largest homeport for cruise ships in South China. There are frequent 60 minutes ferry transfers directly between Macau Taipa Ferry and Shekou Ferry Terminals. Please contact the hotel for details. Free shuttle bus from Shekou Terminal to the hotel is available daily from 12:30pm to 9pm. Hong Kong International Airport (HKIA) is located less than five flying hours from half of the world's population. We are the world's busiest cargo gateway and one of the world's busiest passenger airports. There are frequent 30 minutes ferry transfers between HK International Airport and Shekou Ferry Terminal. Please contact the hotel for details. Free shuttle bus from Shekou Terminal to the hotel is available daily from 12:30pm to 9pm. 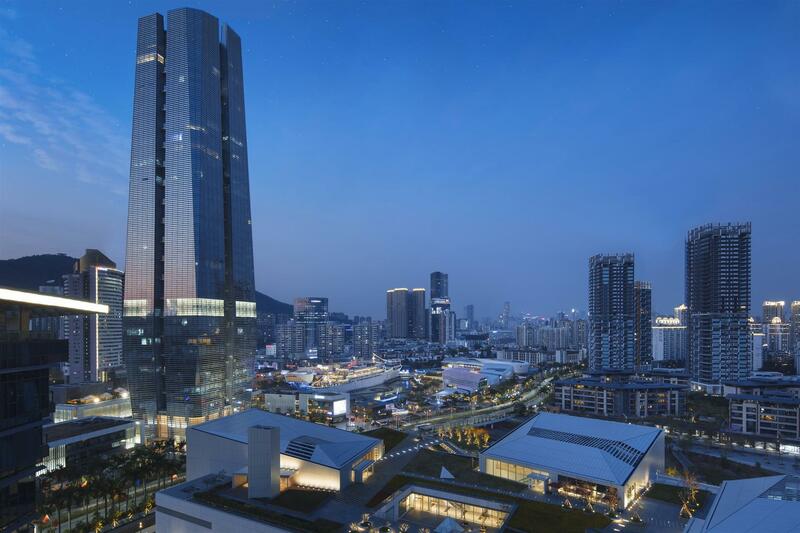 Shekou Net Valley is a High-Tech Park with companies focusing on internet, hi-tech. Now Apple has already joined the park. 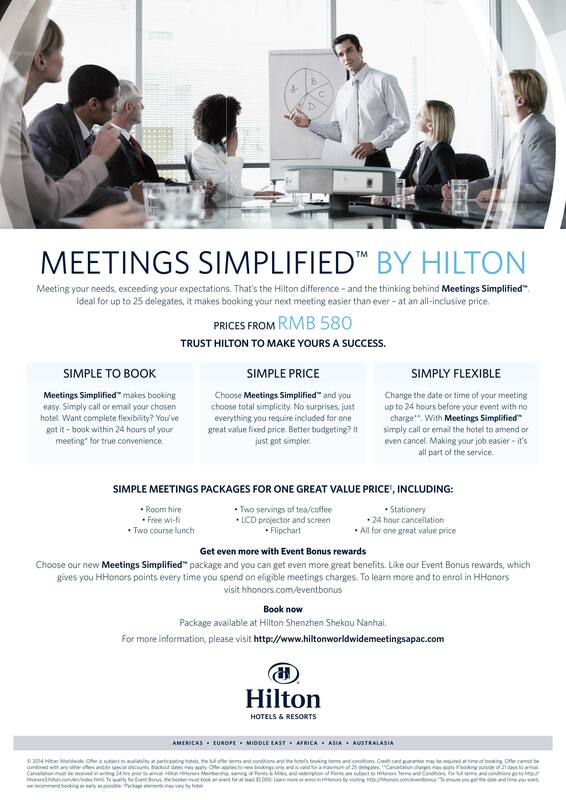 Offering stunning views of Shenzhen Bay, Hilton Shenzhen Shekou Nanhai houses two adjoining buildings, main building and Nanhai Wing, and enjoys close proximity to Shekou Cruise Center, which conveniently connects to Hongkong, Macau and Zhuhai. 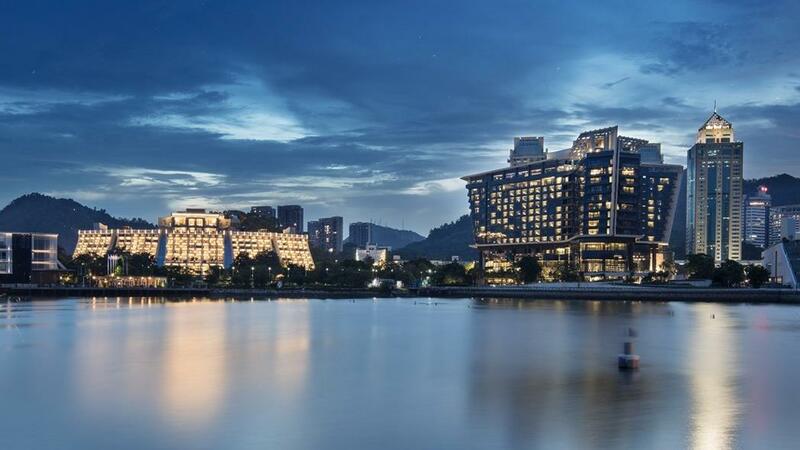 The hotel has 541 rooms in total with 323 rooms in main building and 218 rooms in Nanhai Wing. The main building features 2,900m² of flexible meeting and banquet facilities, spread over 14 separate spaces that include a 1,200m² pillar-free ballroom with its 950m² roof garden, a boardroom, aVIP room and 2 meeting rooms. 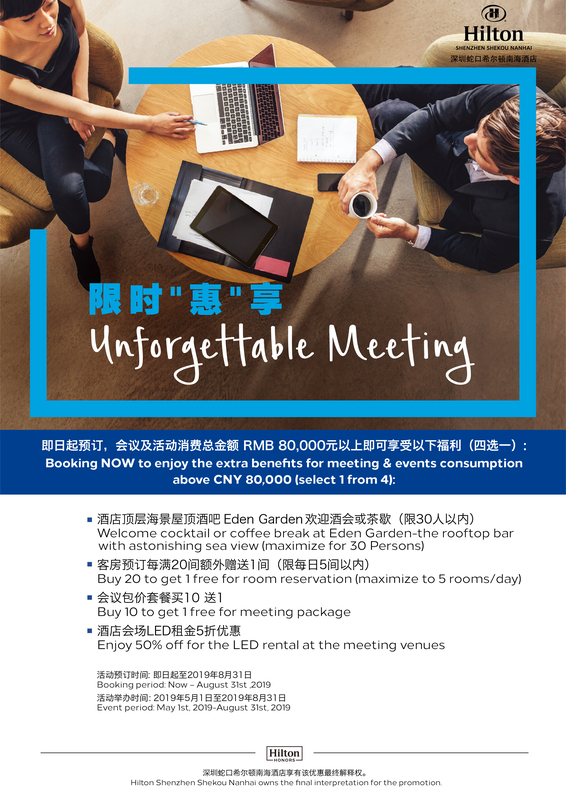 Nanhai Wing offers banquet and meeting space of 1,164m², including a 324m² ballroom, 2 private meeting rooms and a 546m² outdoor lawn. With our professional team members, state-of-the-art audio-visual equipment, quality catering services and Wi-Fi in all public areas, you can be assured a well-executed event.